You've taken your sweet time! In the July edition of US gaming magazine, Nintendo Power, it has been confirmed that WayForward's classic Game Boy Color title, Shantae, is finally coming to the 3DS Virtual Console. Way back in June 2011, we reported that WayForward was looking into porting the GBC classic to the 3DS VC. It looked like the 3DS port was dead in the water until this June when we reported that WayForward was waiting for Shantae's ESRB rating. Now the time is finally upon us. Shantae was originally released in North America by Capcom in June 2002 and received rave reviews at the time. Let's hope the Virtual Console version is as good as we remember it! Looking forward to finally give this a try! More GBC games are always welcome. "Way back in June 2011, we reported that WayForward was looking into porting the GBC classic to the 3DS VC." I wish for our brothers in Europe and Japan to enjoy this classic as well. Still no confirmed release date? C'mon now..
@MikeDanger1 Still waiting on VVVVVV after all this time. Highly doubt it. We did finally get Rayman though. Japan never got the DSiWare game, so doubt we'd get this. About time! 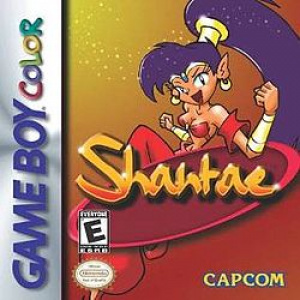 This game is one of the hidden gems of the Gameboy Color that, due to it being released so late, was forever lost in the shadows of Nintendo's newest handheld at the time, the Gameboy Advance....til now. A must download for anyone who considers themself a lover of platformers, imo. Was originally planning to get this right away, but with the Fluidity sequel and me not liking RR I'll wait on this. Probably read a lot of reviews/user opinions and wait until I at least know it's save to spend the points and I can get another eShop card. Ive been waiting for this for more than a year! This article isn't telling us anything that we didn't already know. @MeWario: They're two different games, with different plot, stages, dungeons, bosses, etc. GREAT NEWS!! @MeWario Absolutely worth the purchase, the dsi sequel was a fully fledged new game, not a remake or rerelease. So if you liked the sequel, you will probably like this completely different game. However, remember, this was the GBC, so it isn't going to look nearly as pretty as the dsi sequel did, but the gameplay should be the same. YAY! 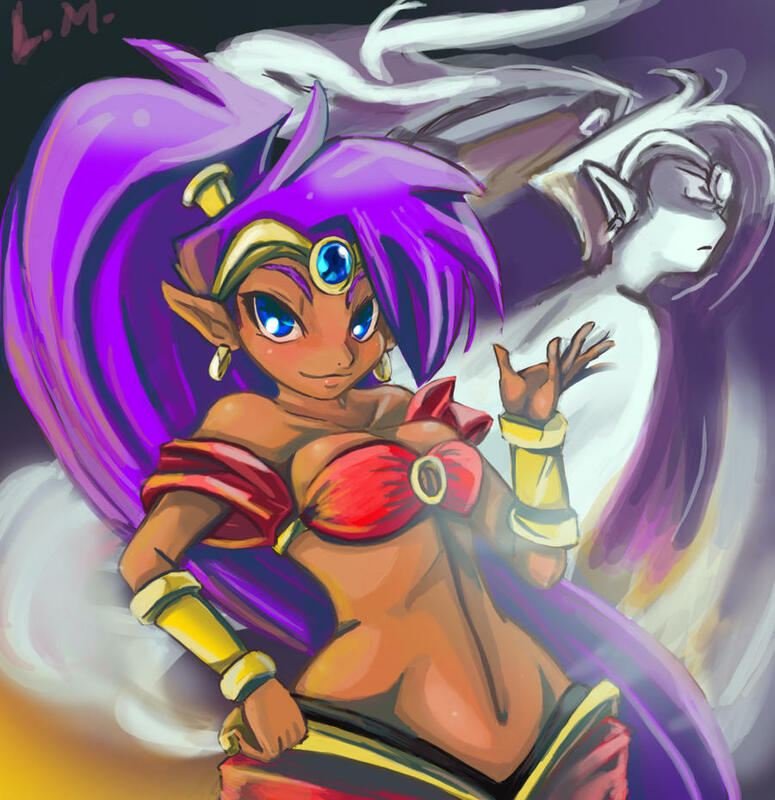 Shantae's booty dance will be even cooler on my giant 3DS screens! This had "enhancements" like greater color depth and an item shop when played on a Game Boy Advance... Will those be part of the download? Aw yeah! This is awesome news. I can't wait to get my hands on this gem I missed back in the day. Nice. Now swing your sweet little a** to Europe please. @Katy It is the July issue, not the August which is the most recent issue. @TNLGUY My mom is better than, your mom and your dad too. @Qtwentyseven: What does that have to do with anything...? @Qtwentyseven You joined over a year ago but your 1st comment is "My mom is better than, your mom and your dad too" What an introduction! Sweet! I wonder if it'll be a clean VC port or if they're going to break out a little remastering. @Knuckles YUP! your right! I can't believe I missed that oO Thanks! "Let's hope the Virtual Console version is as good as we remember it!" ..oh, it is! I still have my original and still pick it up to play from time to time. The game is a work of art, and I'm glad to see it finally get the attention it deserves by becoming readily accessible to everyone. @hydeks Why does that YUP! give me the impression that you watch Storage Wars? I think I might get this sometime. the maximum is five.I am spanish sorry. Wayforward is THE way forward for respectable Nintendo eShop titles! @yosoyyo Para un plataforma juego aficionado, cinco estrellas! Para otro las personas, tres estrellas. @theblackdragon Reference to that guy's avatar. @wiiwii Reference to that guy's avatar.